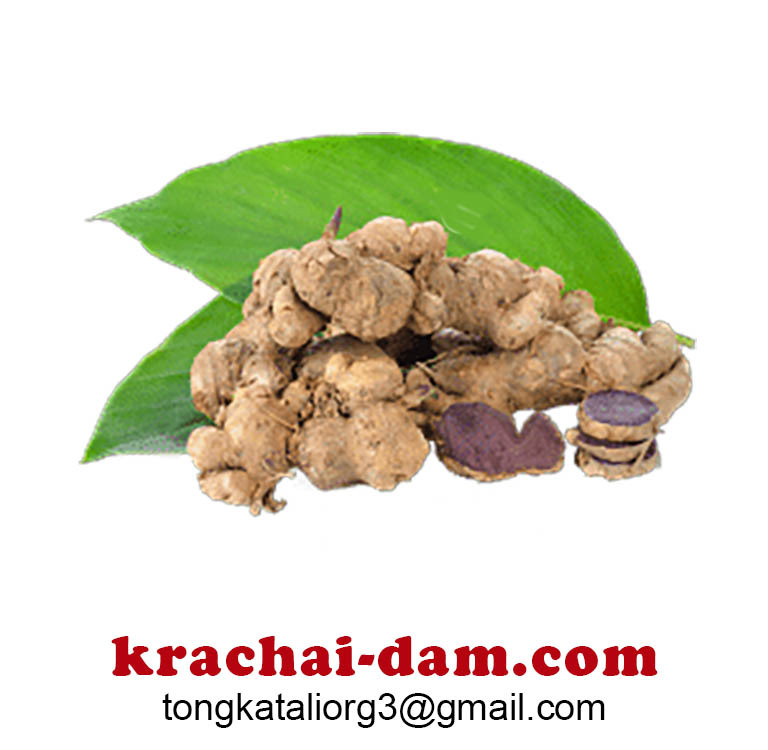 During our current promotional period, we ship krachai dam, 450 grams for 85 US dollars, including shipping. This translates (85÷450) into 0.19 US dollars per gram. This is the cheapest krachai dam on the market. If you prefer our product in capsules, you can purchase 400 capsules of 500 mg each for the same price, 85 US dollars. This is 200 grams net. The price per gram (85÷200) is 0.425 US dollars per gram. On ebay, you can buy 180 caps @ 350 mg for 17.83 US dollars, or (180x0.35=63grams), which translates (17.83÷63) into 0.283 US dollars per gram. This is slightly cheaper than our capsules, but more expensive than our loose extract. Please note that krachai dam has a pleasant gingery taste. It can easily be mixed into sauces, curries, or even just warm water. Thus, no need, really, for capsules. On Amazon, you can buy 100 capsules of an unspecified weight for 40 US dollars. Assuming 500 mg per capsule, this would be 50 grams, or a price per gram (40÷50) of 0.8 US dollars, more than 4 times the price of our cheapest promotional offer. Our own krachai dam (kaempferia parviflora) is also on Amazon. The regular price on Amazon is 250 US dollars. Here, on our own page, we currently sell for a promotional price of 85 US dollars. Same product. For a definite effect, dosages can be 1 to 3 grams, or 2 to 6 capsules, three times daily. Thus, small bottles of 100 caps won't get you very far. The packaging is an additional good reason to buy our product. We package in double-layer food-grade paper bags before inserting into plastic containers. Thus there is no contiguity between our product and any plastic. This is important because most plastics can leach chemicals with estrogenic activity. You probably don't want that in a male enhancement supplement. Yohimbe or yohimbine – which is better?